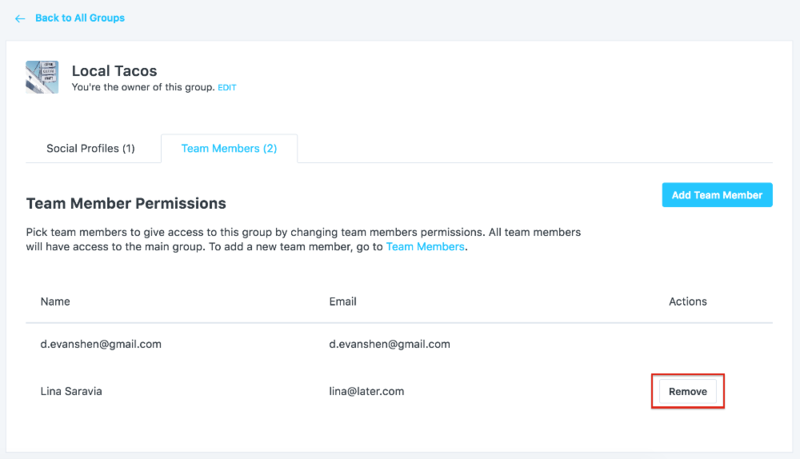 How do I Add or Remove a Team Member? What’s better than Later? Later with a team! 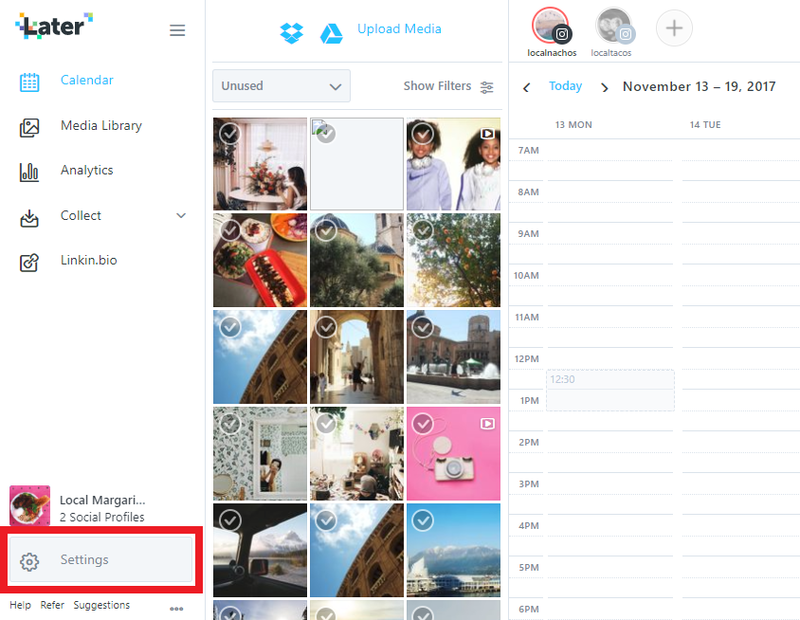 Later is designed to help you efficiently manage multiple Instagram profiles while collaborating with multiple team members all from one Later account. Plus with Groups you can organize your photos, videos and social profiles into one group and invite specific team members to help you plan and schedule your visual content. How many team members can you add? This depends on the number of users (team members) allowed on your paid plan. Only Primary Account Owners can add or remove team members. an email can only be associated with 1 Later account. Note: an email can only be associated with 1 Later account. If the email you are adding already exists in the system please make sure to use another. If you're on a paid plan you can invite specific team members to a join a group. 3. Finally, select Add beside the name of the team member you’d like to invite to this group.